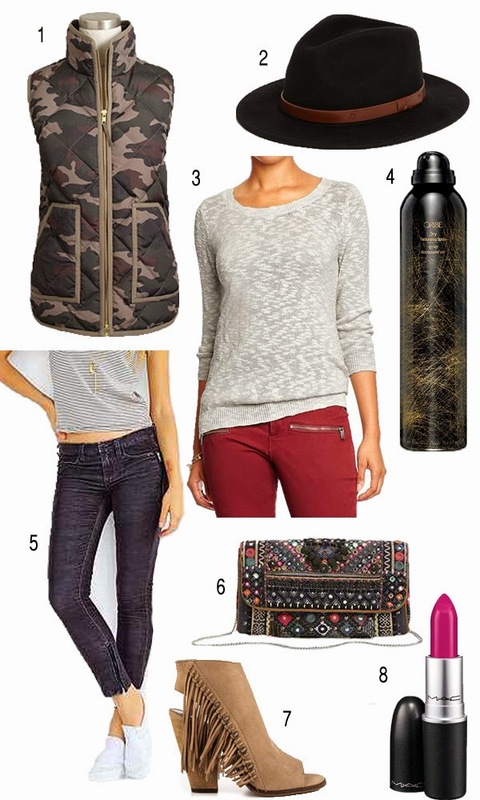 This week's wishlist is the perfect fall outfit! Comfy skinny cords, a relaxed sweater, these super cute booties and a bright lipstick! I also have to mention this gorgeous clutch that I am drooling over! I may or may not be purchasing it as we speak! I hope you're all having a great week so far!! Thanks for following! Ya that hat is pretty much perfect! I have this clutch and absolutely love it! Such a great price pony too. Great picks! I love that camo vest and those gorgeous booties! I'll take the hat and the sweater.. please and thank you.